What great colors!! This is a cool set, definitely on my wishlist!! Sorry you weren't feeling well. What a happy card...so fun! 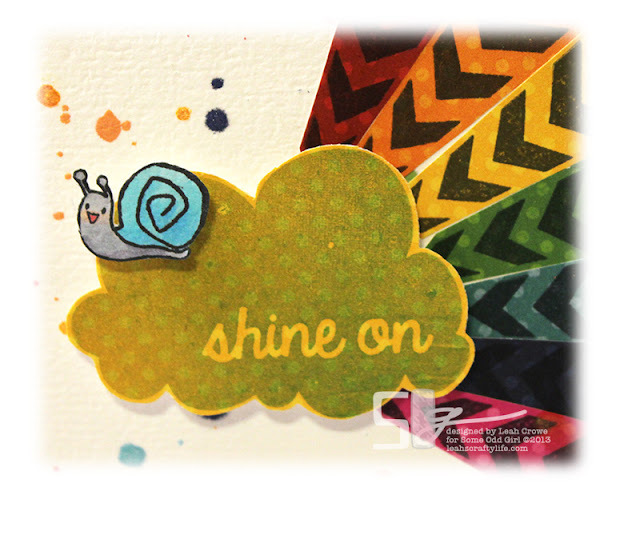 Love the little snail! Could you be any more amazing?!?!?!?!?! WOW WOW WOW!! 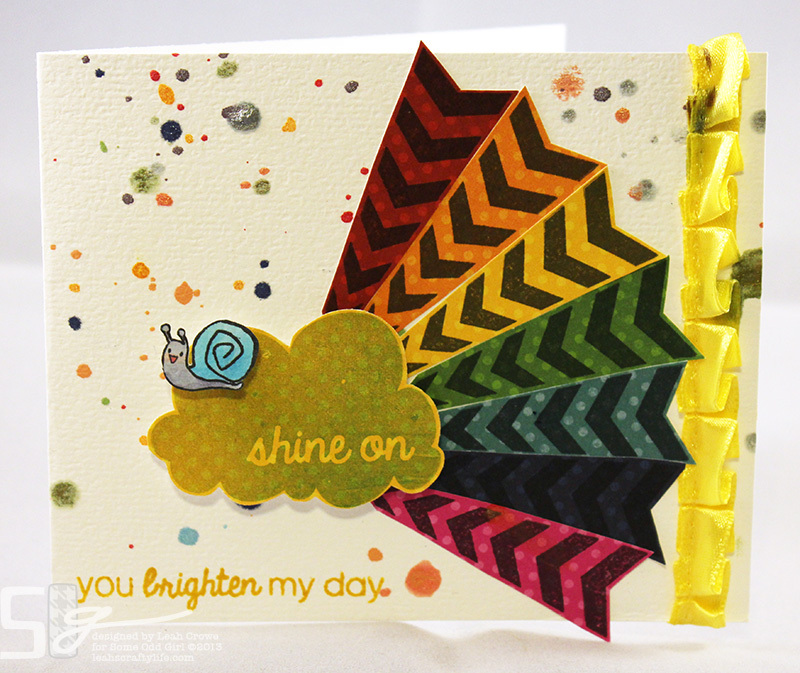 That rainbow pattern is FABULOUS!! Feel better!! oh its gorgeous Leah!! I love it! !